Would you believe it if I told you that every bird you see-even the smallest hummingbird-is a dinosaur? Well, that's what many scientists now believe! Follow along as scientists examine ancient fossils and pose new theories on how prehistoric dinosaurs evolved into today's modern birds. Packed with exciting stories of unearthing ancient fossils and tales of what early feathered dinosaurs might have looked like, this book will have imaginations running wild. From the very first birds, with only tiny dino-fuzz covering their bodies, to the mystery of how dinosaurs finally took to the air, listeners will explore the startling connection between the birds they encounter every day and their very distant relatives-the dinosaurs. 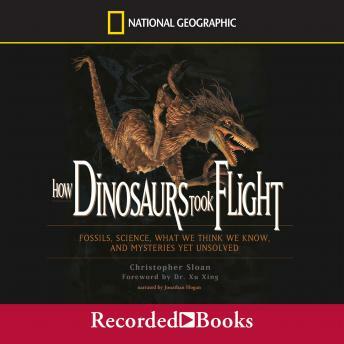 Christopher Sloan works for National Geographic and has written several children's books on scientific topics.